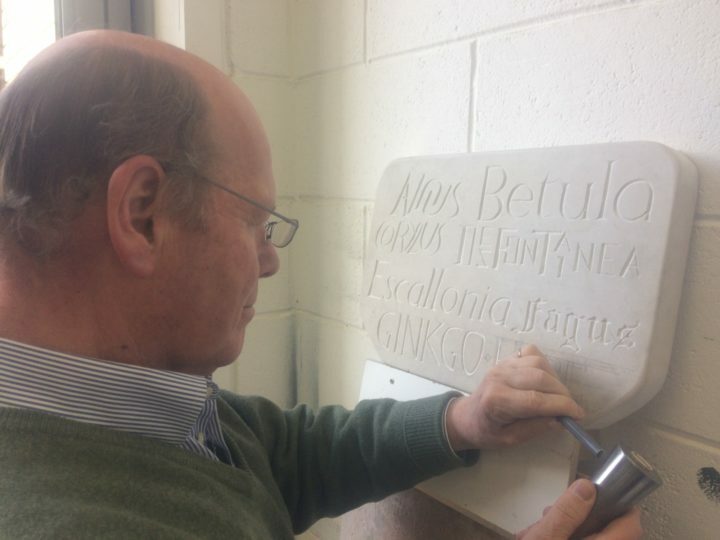 One Day Stone Letter Carving and Relief Course with Simon Burns-Cox at The Edinburgh Sculpture Workshop on Saturday 16th February 2019 from 10.00 to 16.30. Course price £85 with the use of stone and tools included. Maximum five participants and open to all levels.